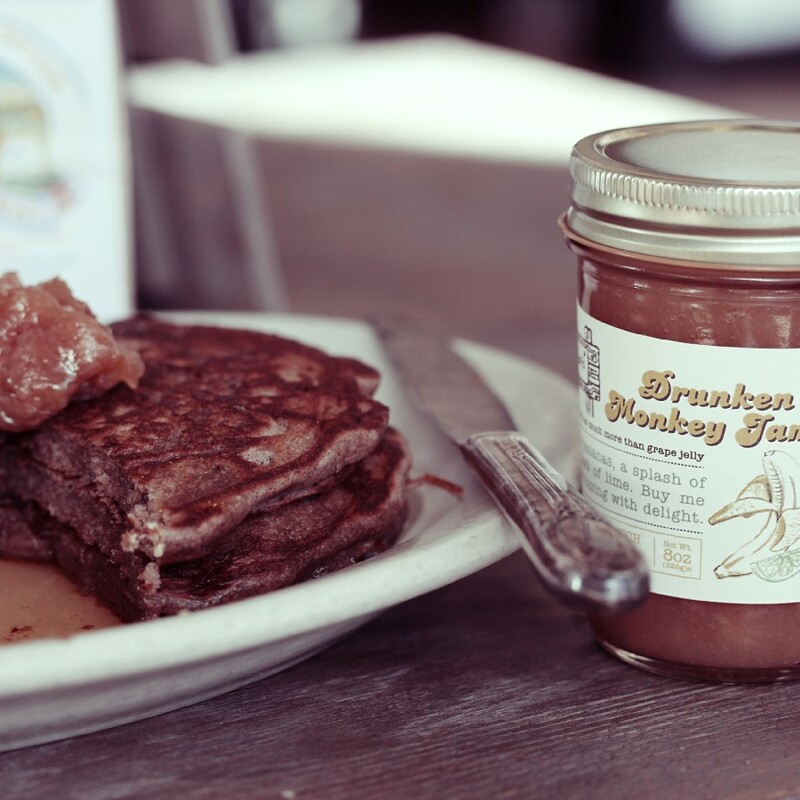 9 of the Best Pancake Products in America | Mantry Inc.
Few things bring comfort like a nice pancake breakfast. 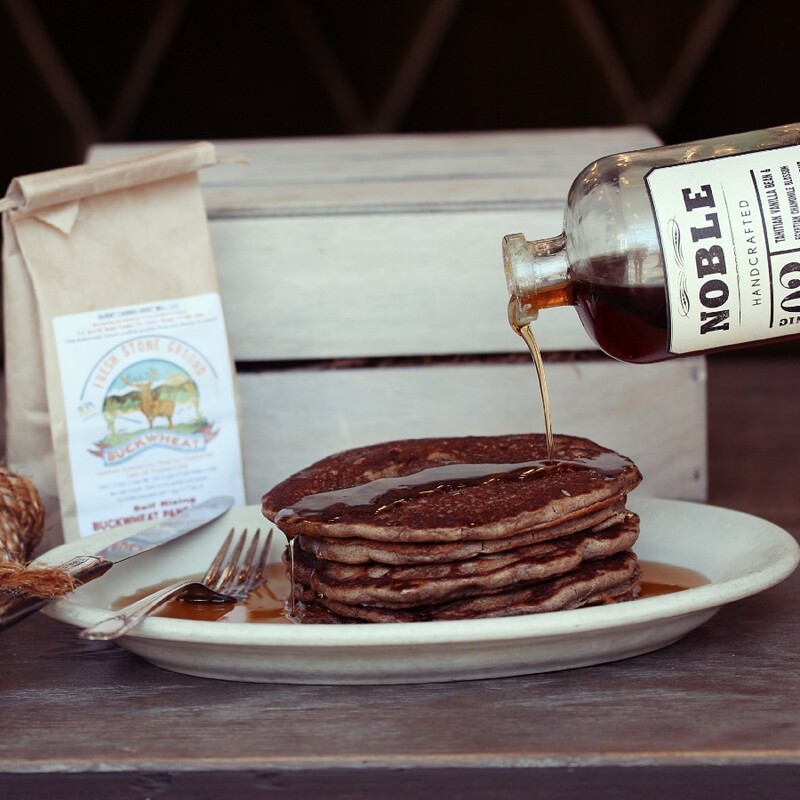 Here are ten products for the pancake obsessed from top American makers. The Southwest’s busiest breakfast joints have been griddlin’ up Culinaria’s two-stepping blend of New Mexico’s iconic kernels — Hopi blue corn and piñon pine nuts — for twenty years. Now’s your chance to join the hoedown. Alas, the cakes ain’t turquoise — or even blue — but, sweet and nutty with a hearty chew, they still have all the spirit of the southwest. Whip a cup of mix, a half-cup of milk, an egg, and a glug of oil until barroom dance floor–smooth (that is, *just* lump-free enough). Then ladle on a skillet or pour into an iron until the edges bubble, and serve with fresh fruit and, no yankee tree-tappers here, agave cactus nectar. This mom-and-pop Willamette Valley farm, in the heart of hazelnut country, does the hard part for you, trundling tree-shaking harvesters and vacuum-on-wheels sweepers through 160 acres of some 20,000 trees, gathering hundreds of pounds of hazeln — er, filberts, in the local argot, and grinding them into everything from granola to pizza dough to this, our pancake-Sunday staple. All you do is add an egg and wait for the skillet to heat. A flip or two later and what you get is light and fluffy as a classic flapjack, with an undercurrent of earthy spice, the perfect balance to a hefty pour of syrup, and an extra pat of butter to brace against the morning’s chill. Not Pancakes, but if you love a good sidekick to a short stack this is your bowl. When it comes to oatmeal, the more the better. Which is why breakfast buffet toppings stations are typically smorgasbords of fixin’s: fruits and nuts and sugars and spices, and the cereal (overcooked gloop, most likely) merely a paste to hold the glitter, and often just as tasty. Not so here. Farm to Table’s mix of nutty, high-protein spelt and kamut, crackling rye, chewy barley, and healthy flax is flavorful enough to stand alone. 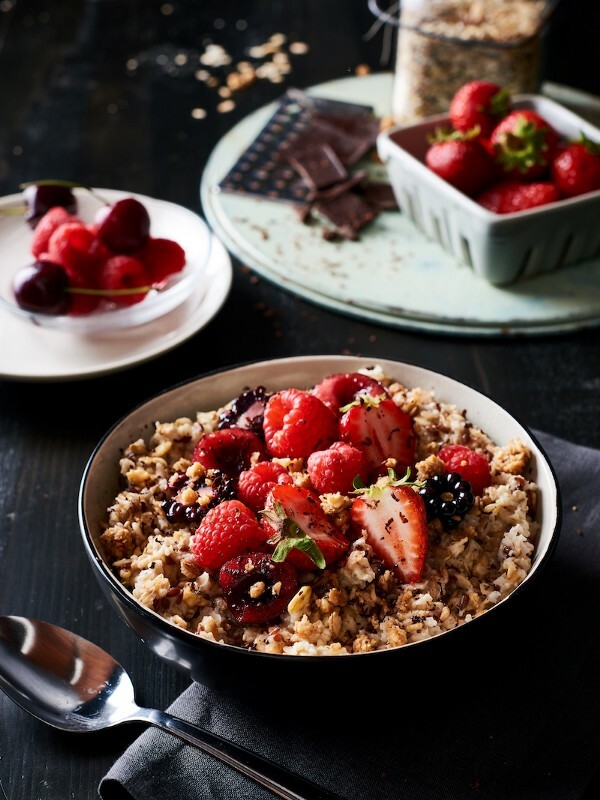 But with almond milk, berries, and grated chocolate, it’ll elevate mornings to heights unknown. For many a self respecting woodsman, packing whiskey and maple syrup was as essential as a bushy beard and body odor. Maker Tyler Gray brings these two burly staples together to create barrel aged greatness. 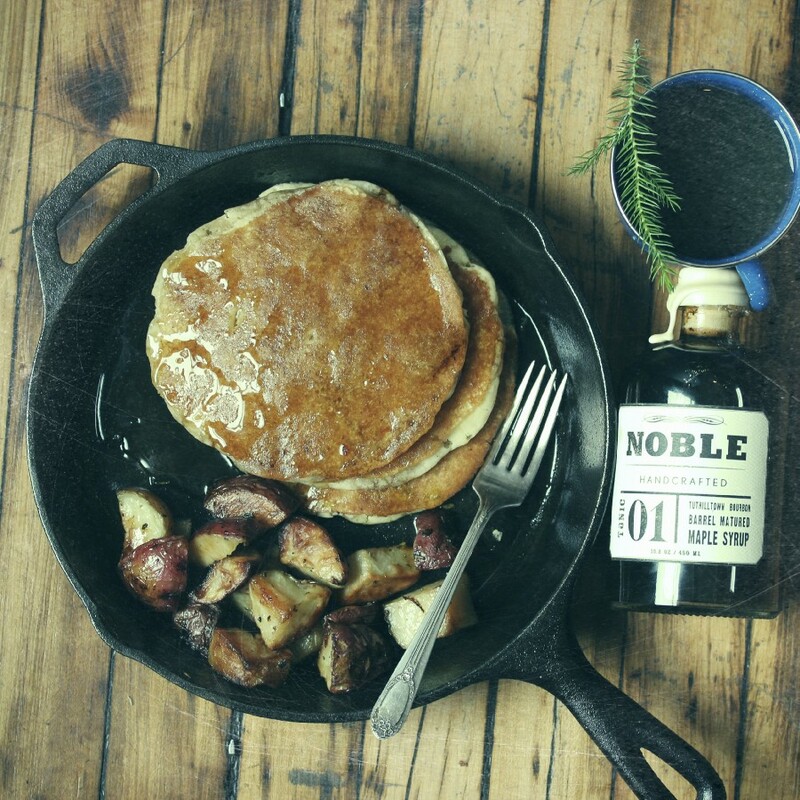 He begins with procuring the highest quality Maple syrup from heritage sugar shacks in the ancient maple orchards of Quebec. 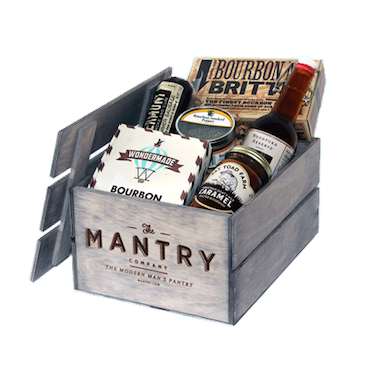 The syrup is then matured in charred American oak barrels from Tuthilltown Distillery (New York’s first whiskey distillery since the age of Prohibition) and finished off with a nip of fine Tuthilltown bourbon. 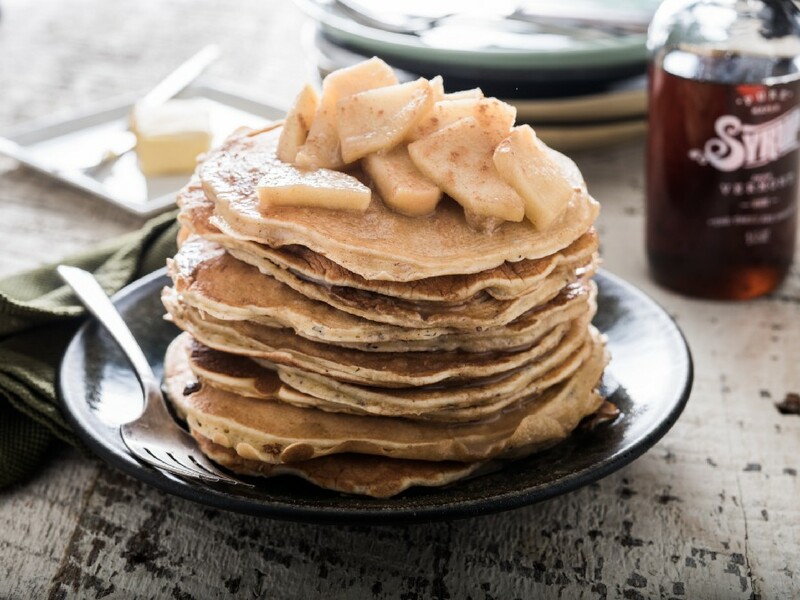 Trust us, nothing will silence your extended family during the holidays like a stack of syrup soaked flapjacks. 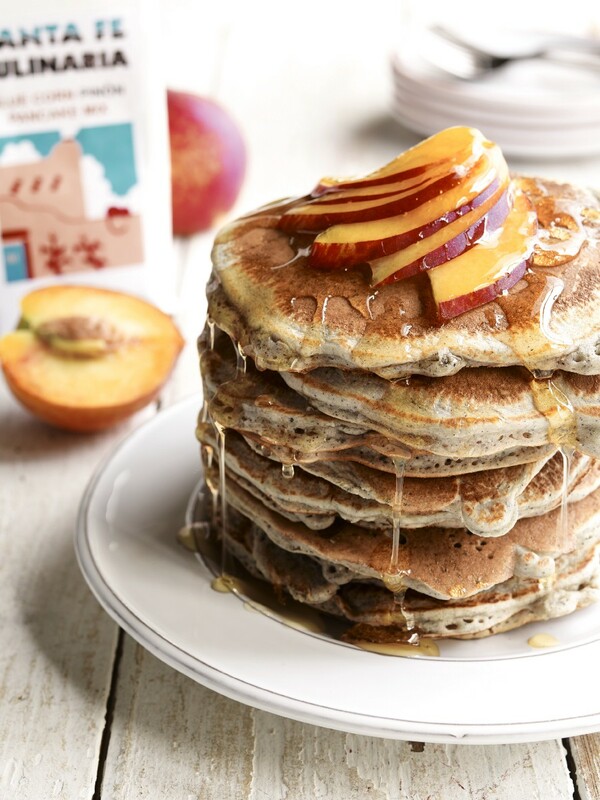 Helping you recreate the serenity of nature around the breakfast table, Dancing Deer’s old fashioned buttermilk recipe reminds us the only thing light and fluffy about early pioneers were their pancakes. If a sun baked, Tommy Bahamas clad Dad was holding a scone instead of umbrella accented Mai-Tai, this jam would be on that scone. The talented ladies responsible for Brooklyn’s Jam Stand add a nosh of cane rum to a cleverly concocted base of banana and fresh lime juice. Use to top off your cakes or swap out for Grape Jelly in a PB & J. 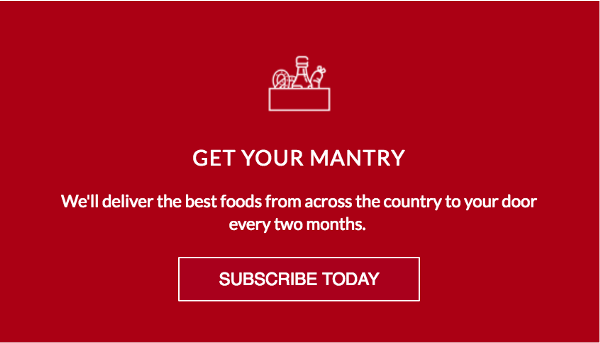 While the “hot” in your go-to hot sauce might come from an honest-to-goodness pepper, the “sauce” part is often a slurry of vinegar, salt, and water, resigning it, if not to the processed foods aisle, then at least to the savory side of things. But thanks to a base of Catskill-harvested maple syrup, Trees Knees is a spicy-sweet switch hitter. Eggs? Pizza? Of course. But why not morning oatmeal? Iced coffee? Cocktails? Or, our favorite, a perfect bath for pan-fried brats, just pour over and simmer to glaze. Boasting a bio and awards mantle that parallels the The Karate Kid Savannah Bee founder Ted Dennard boasts an unparalleled dedication to unique single-origin honey native to the South. Ted was a 12-year old boy on his father’s Coastal Georgia property when a battered old pickup carrying beehives rattled into his life. Luckily the truck was also carrying Roy Hightower, an elderly beekeeper who taught Dennard the sweet science. 100% edible, treat honeycomb as you would honey, but for a recipe that’s the bees knees: 1) Mix pecans, honeycomb and salted butter in a food processor 2) Turn out on plastic wrap, roll into a log and chill 3) Capp off a batch of hotcakes with a coin and your guest will surely be buzzin’. 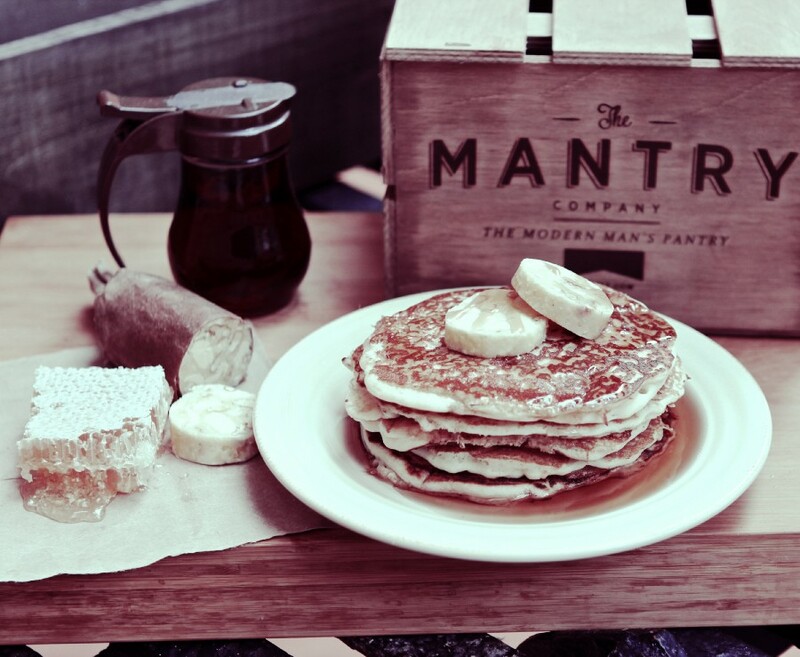 You might like Mantry because we send products to upgrade your Pancakes.